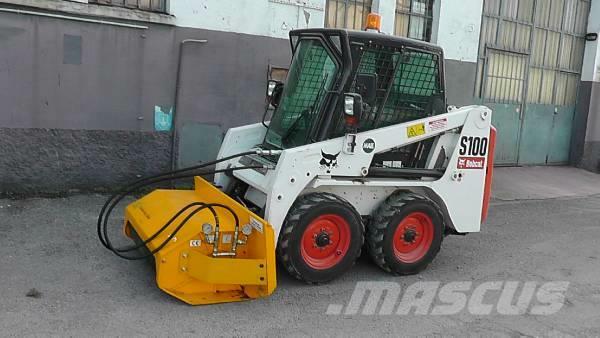 Ostale informacije Hydraulic bush cutter DC 13, studied to be used on skid loader, thanks to the connection plate, created according to Bobcat's standard. Working width 1000 mm. Equipped with a pair of "Y" shaped knives and athird one in the middle, which allows it to reduce all the treated materials in fine grains. It cuts branches up to 8 cm diameter.